I’m starting a new feature here at Diana Rambles called Throwback Thursday. One Thursday a month I will pick a relevant theme and feature past posts. They may all be posts from my blog, or I might throw in posts from other bloggers who link up to my weekly Pin Me Linky Party. Our first TBT is Back to School. Packing Food for Teens & Adults is a great post by guest blogger Kathy of Eclectic Lamb. This post is two years old, but still gets consistent traffic from Pinterest. Especially this time of year. Easy Dinners To Go was just posted this week, but it’s getting a lot of traffic as it’s filled with ideas for meals on the go. For a younger crowd, check out my Bento Basics. It’s easy to make lunch FUN! This is part of my Bento Basics series. I also have a Back to School Bentoing series. Need to provide a school snack? Check out these fun Granola Bar Wrapper free printables. Maria of Krafty Owl shared these great first day of school photo ideas. Got a newer driver at home? This New Driver Checklist that goes in the car will remind them to be safe and make good choices behind the wheel. Want to your child to take responsibility for their schedule? Check out these free planner and to-do printables. 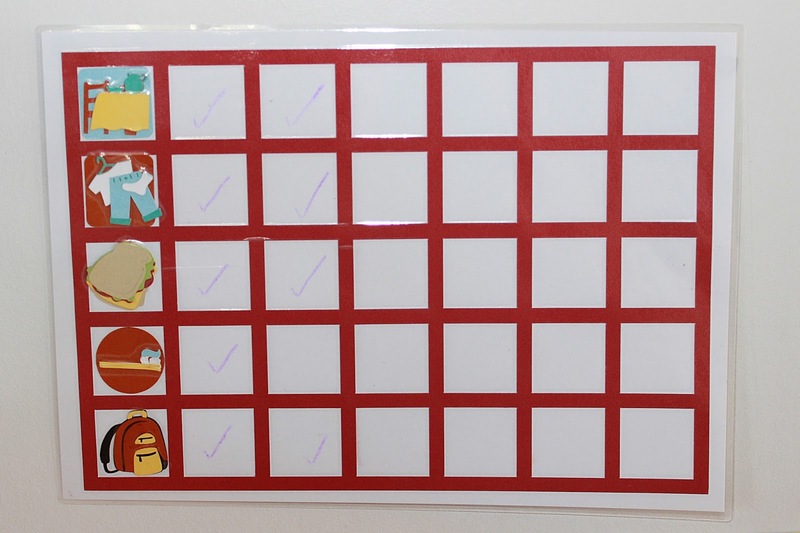 Lauren of SAHM I Am has this great chart for her son’s morning routine. Perfect for little students! Here is a fun way to give the teacher all those germ busting school supplies. Teacher’s Germ Busters printable. Cookie Mix in a Jar from Marty’s Musings is a perfect teacher’s gift. This Back to School Iron On Applique from DIY-Crush is adorable! 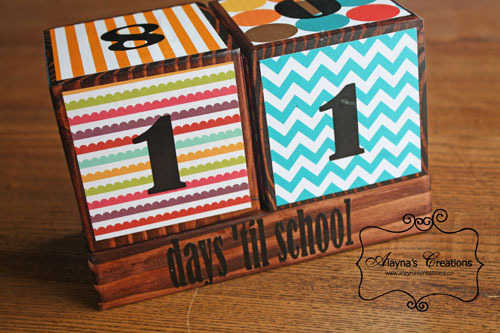 These Countdown to School Blocks from Alayna’s Creations are fun! What should the theme for September be? You always have the best and fun ideas!! Haha! I just did a good job of collecting these.